Disclaimer: For any of you marketers out there who think that short-term strategies are adaptable, THIS POST IS NOT FOR YOU. Spam is disgusting. There, I said it! In fact, I don’t think there has ever been a time in my life when I thought that spam was delicious, nutritious or delectable to look at. 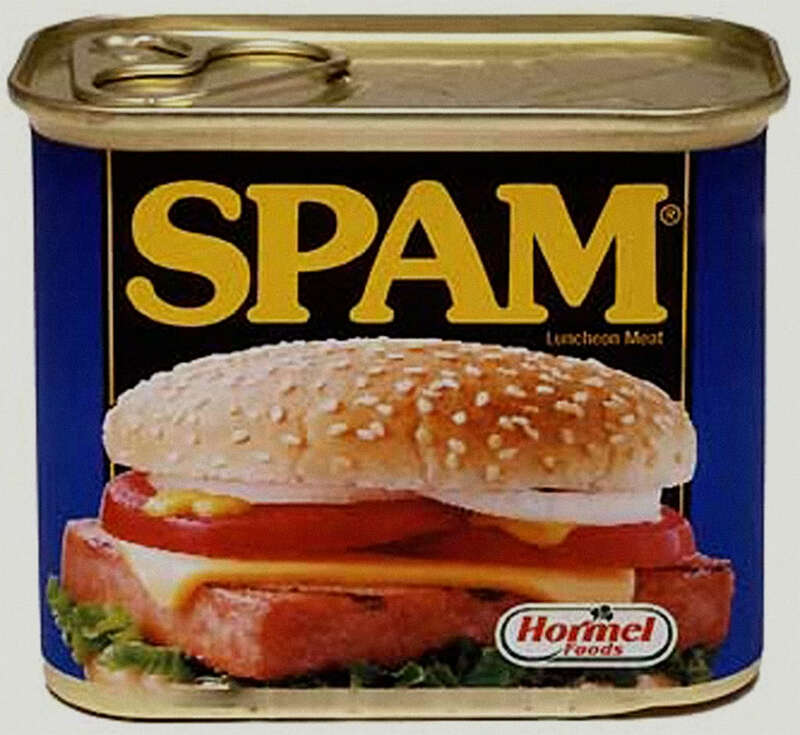 In all reality, Spam is a sodium and preservative enriched food that serves one purpose – to survive nuclear fallouts. 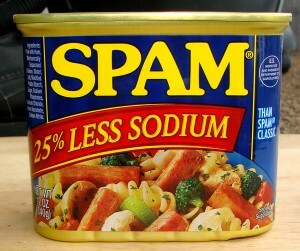 Now with that said, Spam in the world of search engine marketing is just as appealing. For example, who wouldn’t think that this snippet of content is high quality (insert sarcasm 😉 )? This is an example of an automated backlink. Many online “marketers” know exactly how this stuff works. They steal your money, send your site through a program that creates thousands of backlinks and Whammy! (courtesy of Champ Kind) great rankings galore! Too many search “marketers” will do anything to gain short-term benefits in order to get search engine rankings. However, how many of them really understand the consequences of their actions? Whether it’s pressure from their client(s), third-party updates (…cough, cough… Google) or other reasons, marketers are up against the wall trying to get results. Besides, that’s what they’re contracted to do, right? From a short-term standpoint, sure. However, the long-term answer is simple. No. Online marketers should be hired to develop long-term online marketing strategies based off of research (actual intensive research – not the kind that one simply runs through a program and then regurgitates it to an uneducated business owner with a, “We guarantee” at the end of their pitch) and their experience. Unfortunately, the cancer that infects most of the online marketing world is the word, “guarantee”. And, too many times, businesses owners and managers see the word guarantee with the price tag beneath it, and their eyes light up. From that point forward, cost-driven people troll from marketing business to marketing business saying that they’ve seen search marketing services for $200 per month and expect you to match that. For $200 a month, the kind of online marketing you’re getting is short-sited, low quality and careless Spam (revert to exhibit A). Long-term online marketing should sit atop 3 major pillars that serve as the foundation for the campaign. It’s dirty, it’s inglorious and it’s tedious. Research is discovering what your competitors are doing. It’s finding out what your site lacks. It’s experimentation, documentation and making adjustments to your campaign. Research defines your campaign and the next two pillars to come. This step of the online marketing phase should be intensive and detailed. All decisions must be based off of research. Once competitive and self-evaluation are complete, the next stage of your online marketing campaign is strategy. Strategy should be customized – not one size fits all. Some clients may get leads from Facebook, while others may not. Some clients may have better conversion rates from PPC instead of organic SEO. While others may not have a mature enough market online to justify their costs. Marketing is not an exact science. It doesn’t cover up a bad product/service for long. This is why research is so important. Rankings are great and all, but the real reason clients are spending the money is to get an ROI. Be creative and empathize during your strategizing sessions. Remember, that strategies should have a time component. For example, over the next 3 months we will do this and this and this. The purpose being that time gives perspective. Execute on your strategy, period. Don’t do anything more or less. Remember that execution is an experiment. If it works, continue and expand. If it doesn’t, restart the process at the point where you feel things got away (either research or strategy). Besides, how can you expect to become more efficient if you don’t #adapt? If you have any additional questions, comment or email me at paul@clixfuel.com!